Experts predict there will be 20.4 billion “connected things” deployed by 2020. The billions of sensors on these Internet of Things (IoT) devices are already generating tons of data. Through exciting new innovations in data management and analytics, companies are beginning to exploit this data to cull critical insights that can be used to positively impact almost every aspect of the world around us, from elevators and manufacturing lines, to parking lots, and even washing machine repair services. Today at the Genius of Things Summit in Boston, hundreds of clients including JB Hunt, Republic Parking, Sensurion Aerospace and others will talk about how IBM IoT is helping them exploit mounting data volumes to generate just such insights. Two companies in particular, Sears Home Services (SHS) and Golden State Foods (GSF) – both known for delivery service excellence – are taking their services to new heights with IBM IoT. SHS is working with IBM to help enhance the efficiency of its field service technicians and deliver members a better service experience. In 2016, the company identified an opportunity to increase the number of simple customer issues that could be resolved over the phone, thereby reducing unnecessary truck rolls. SHS also wanted to reduce the frequency of incorrect replacement part shipments while improving the delivery timing of those parts. The goal? Drive better overall operational efficiency and member satisfaction while potentially saving Sears millions of dollars. Using IBM IoT’s Predictive Maintenance and Quality on IBM Cloud, SHS learned it had access to the data it needed to conduct a root-cause analysis with members via the phone, allowing it to reduce unnecessary truck rolls. In addition, services realized it could leverage this information to more accurately identify the exact part before the technician is deployed. 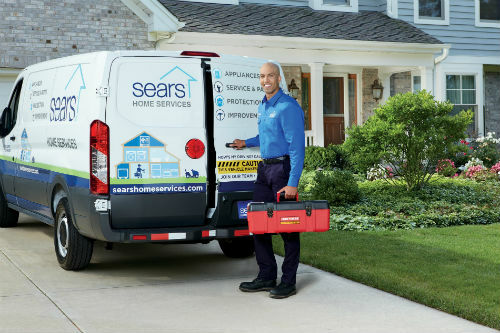 These new capabilities are allowing Sears to unleash decades of knowledge acquired by making millions of service calls a year to repair and maintain a complex array of appliance brands. Improving the way SHS manages and leverages its vast home services knowledge base will enhances its ability to serve members over the phone while improving its ability to solve member problems on the first visit. GSF, one of the largest diversified food processors and distributors in the U.S., is using IBM IoT for Automotive to bring cognitive computing and augmented intelligence to its distribution operations. 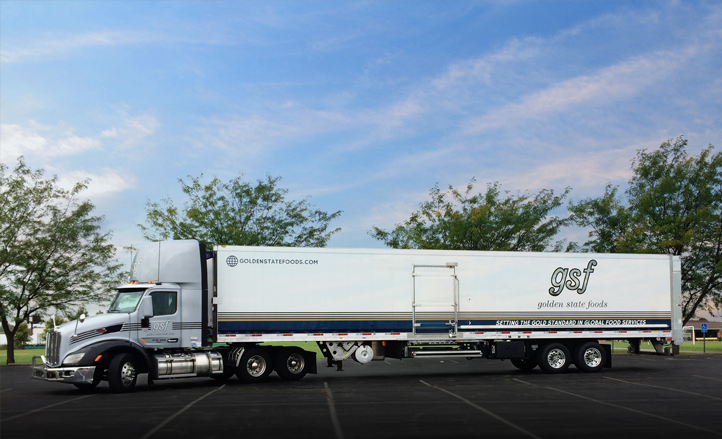 With the solution, GSF is looking to improve fleet management and driver safety for approximately 1,000 trucks, which travel more than 55 million miles each year, making over 25,000 deliveries per week around the world. Using IBM IoT for Automotive, which incorporates weather, traffic and telematics data, GSF will be able to optimize and transform food distribution—ensuring orders will arrive fresh and when promised. In addition, by combining wearable IoT devices and predictive analytics, GSF expects to improve driver safety. GSF’s IoT vision also extends to its restaurant customers, specifically putting insights in the palm of the owner in each location so they can improve operational efficiency. Right now, GSF is testing this proof of concept “Connected Restaurant” capability, which collects real-time data from a set of sensors and, combining that with predictive analytics and machine learning, helps augment decisions in areas such as energy, equipment, and restaurant-wellness management. GSF envisions a future where restaurant owners use the solution to better plan inventory, energy, and maintenance management, freeing employees to shift their time from the back of the restaurant to the front where they’re needed most. This news follows an August announcement where GSF unveiled plans to join a blockchain collaboration with IBM. At Genius of Things today in Boston we are talking about how IBM is helping clients make sense of data and identify new business models that create excellence in service. SHS and GSF are just two fantastic examples of this work. Sears Home Services turned to IBM IoT drive efficiency.